The 75th Venice International Film Festival is scheduled to be held from 29 August to 8 September 2018. Mexican film director Guillermo del Toro has been named as the President of the Jury. First Man, directed by Damien Chazelle, has been selected to open the festival. Guillermo del Toro was named as the Jury President for the main competition section, with Michele Riondino hosting the festival. The 75th Venice Film Festival kicked off on 29 August with La La Land director Damien Chazelle’s Neil Armstrong biopic. Among the issues which haunt the festival this year are gender parity in Hollywood, the festival’s alleged lack of representation of women artistes and new embargoes. Here’s a roundup of everything that made news on Day 1. First Man, the Neil Armstrong biopic starring Ryan Gosling and Claire Foy, held the prestigious opening night spot this year. The film reunites La La Land director Damien Chazelle, who opened the fest in 2016 too, with his lead actor from the Oscar-nominated film. Meanwhile, Venice Biennale’s new embargo on reviews until the film’s public screening takes place has writers and critics divided. While some stand against it, some think it’s time Cannes did something similar. Naomi Watts stepped out in a pink Giorgio Armani collection for the First Man premiere. The film’s lead actor, Ryan Gosling matched with co-star Claire Foy in pink, too. This year’s jury consists of five women and four men in an effort to redress the imbalance that has occurred in previous years. Australian actress Naomi Watts is on the panel — an experience she hopes will be “life altering”. Despite Venice Film Festival 2018’s efforts to strive for gender parity, women filmmakers hit out at the festival for its “toxic masculinity” as it opened with just one female director represented among its most mouth-watering line-up in decades. With Hollywood effectively turning the festival into its launchpad for the Oscars with new films by Damien Chazelle, the Coen brothers, Alfonso Cuaron and Lady Gaga’s much-hyped screen debut, feminists have lashed the organisers for choosing only one film by a female director. 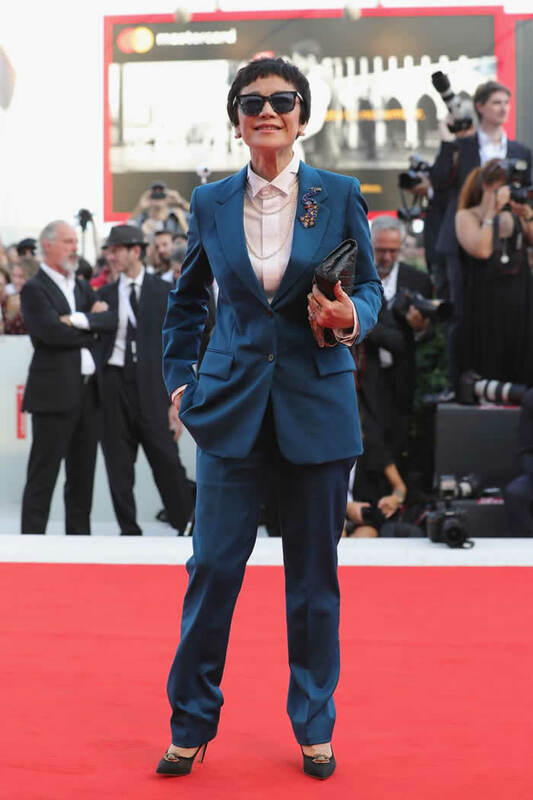 It is the second year in a row that Venice has featured just one film by a woman among the 21 vying for the Golden Lion top prize. Festival director Alberto Barbera had declared that he would “rather quit” than give in to pressure for a quota for women after the Cannes, Toronto and Locarno festivals pledged themselves to gender equality.